Welcome to the Econo Lodge, an Escanaba hotel near the Wells Sports Complex The Econo Lodge hotel is located next to the U.P. State Fair and minutes from downtown Escanaba. 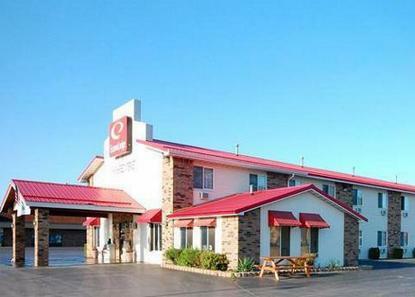 This Escanaba hotel is close to popular area attractions, including the Delta County Historical Museum, Sand Point Lighthouse, Pioneer Trail Park, Hiawatha National Forest and the Wells Sports Complex. Specialty shops, antique shops, golf courses and restaurants are close by. Public beaches are only two miles away. Enjoy live music, comedy night and other entertainment at the 8th Street Coffee House. There are also casinos, nightclubs and several outdoor areas, where visitors can enjoy outdoor activities. Must have 1 adult over 21 years of age in each room.